Now that's a lot of announcements! The series that put Microsoft on the gaming map is getting a new installment! During their E3 press conference, Microsoft revealed Halo Infinte, the latest entry to the long-running Halo franchise. While the announcement did not include much details about the game, what’s for sure is that Infinite will have amazing graphics, as the game will run on 343 Industries’ new Slipspace Engine. Developed by From Software (creators of Dark Souls and Bloodborne), Sekiro: Shadows Die Twice is an upcoming action-game that’s sure to satisfy fans of (extremely) difficult games. Sekiro is not set in a medieval fantasy world though, as the game will take place in Sengoku Period Japan. Halo is not the only blockbuster Xbox-exclusive at E3 2018, as Microsoft also showcased the new Gears of War 5 trailer. Gears of War 5 is set to be the biggest Gears game yet; and it should satisfy multiplayer fans as the game will feature local split-screen co-op, asie from online multiplayer co-op. Hack-and-slash fans were given a treat at the Microsoft press con with the reveal of Devil May Cry 5. Capcom’s latest entry to the DMC series follows Nero, and it features the series signature ball-to-the-wall combat. While not a new announcement, gameplay for The Division 2 was showcased at Microsoft. The first Divison title may not have lived up to the immense hype, but the Division 2 is looking to remedy that. The gameplay showed looked intense, and it has us excited for more. It’s been years since the reveal of Cyberpunk 2077 by CD Projekt Red, and finally there is now an official trailer for the game, and it’s a stunner! Sure there wasn’t any gameplay, but it did feature a gorgeous dystopian city, futuristic vehicles, and of coures neon lights (it’s not cyberpunk without neon). The upcoming indie survival game We Happy Few had a new story trailer released at Microsoft’s press con, and it’s delightfully creepy! The trailer gave more insight on the game’s story, which is set in 1964 in an alternative dystopian timeline, where people are forced to take a drug called Joy. Announced a few years back, Crackdown 3 is a high-octane action-adventure game starring Terry Crews, and gameplay for the title was just showcased. The gameplay looks crazy, in the best way possible! The trailer had it all, from transforming cars to huge mechs; there’s even an insane giant snake! What more could you ask for? That isn’t even everything that was showcased at the Microsoft Press Conference at E3 2018. There was the Shadow of the Tomb Raider trailer, Tales of Vesperia Definitive Edition, and many more! Now, the rest of the publishers at E3 better step up. 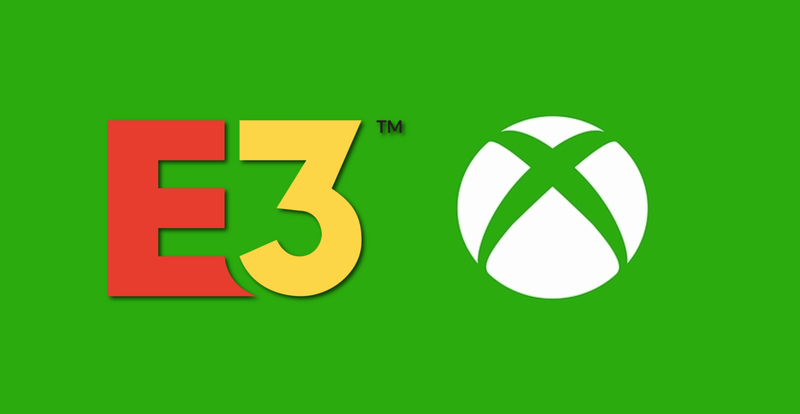 If not, the Microsoft will likely win E3 this year.